Crawfish is the new Wurst in New Braunfels. Festivals and boils dedicated to the mudbug dominate April’s food scene. The grand crawdaddy of them all is Crawfest 2017, hosted by Crawfish Festival of New Braunfels, scheduled for April 28-30 at Comal County Fairgrounds, 701 Common St. The event features 10,000 pounds of crawfish, live music, live zydeco, a gumbo cook-off, carnival rides, a 5K race and much more. Click here for tickets and more information. Admission is free for kids 12 and under. The festival’s 5K Crawdaddy Dash is scheduled from 9 a.m. to noon Saturday, April 29. The race is hosted by the athleteguild.com, and benefits Headwaters at the Comal. Also planned for Crawfest 2017 a washer tournament with cash prizes ranging from $100 to $500, gumbo championships and crawfish races benefiting CASA (Court-Appointed Child Advocates Central Texas). Entertainers include William Clark Green, Cory Morrow, and Texas favorite Kevin Fowler. Attendees can enjoy crawfish, buy discounted tickets to Crawfest 2017, and sign up for the 5K and volunteer slots. Radio New Braunfels, KNBT-FM 92.1 will broadcast the event live. Serious mudbug aficionados also can practice their peeling skills “This Bug’s For You” crawfish boil from “Noon to the Moon” Saturday, April 15 at The Grove, 8400 River Rd. Swamp rock musician Slim Bawb performs, along with Isaac Jacob and Knotty Grove. DJ Graciano will be in the house, keeping music alive throughout. 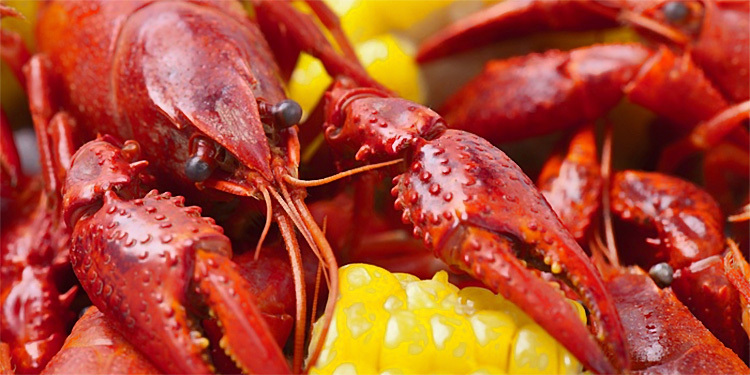 Price is $10 for entry and mudbugs – additional servings just $10 per pound. The Grove’s right next to Koozie’s Ice House & Grill.